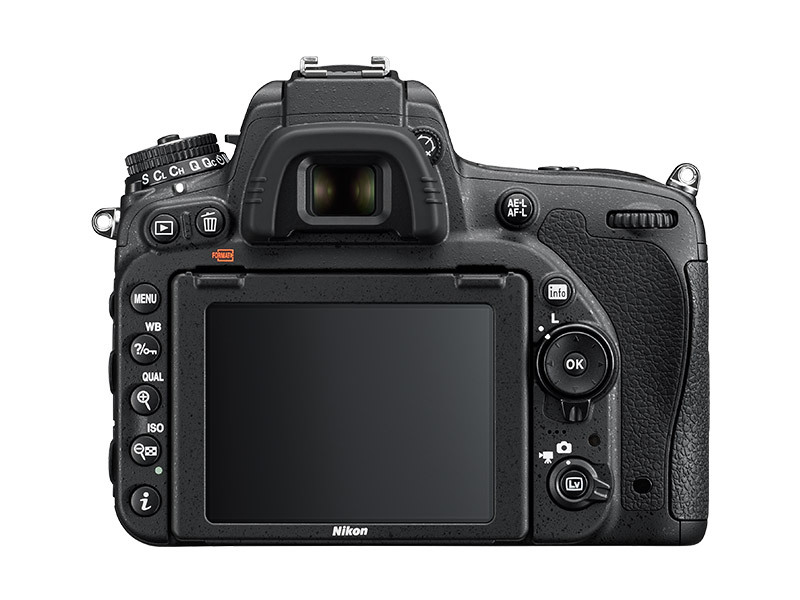 After many rumours predicting its existence, Nikon has officially released the D750. The camera, as expected sits between the D610 and the D810 in Nikon's lineup, but is aimed more towards the higher end than the lower end. As DpReview points out, this is Nikon's third full frame camera release this year. The camera features many of the features of the D810, but in a smaller (d610 sized) and Lighter body. It retains the D810's autofocus and video options but adds built in wifi and a tilt-able screen. When I first heard the rumours about the D750 I was excited as it seemed like it could finally be a possible replacement for my much loved D700. So now that it's been released do I think it can fill the legendary D700's preverbal shoes? I think for the most part, yes. In typical fashion though, there seems to be a few odd omissions, that may or may not put you off. These are all small things, but for some people they could be an issue. There's lots to like though. First of all, it adds the option to set the centre button of the control dial to zoom to 1:1 on playback, which for me is a huge timesaver that I've grown so used to. I'm still at a loss as to why Nikon uses such an arbitrary function to differentiate its "pro" cameras from its "consumer" models. The D610 for example doesn't have this, yet clearly it's just a software function. One odd omission on the D750 seems to be the lack of an AF-ON button, which was present on the D700, and is also on the D810. For me this isn't a deal breaker, but for photographers who use the rear button focusing method, this could be a big issue. The AF-L button can be re-assigned for focus on, but it's odd that they choose to leave this feature off what they're calling a "pro" body. I thought that maybe it was a space issue, but then it's on the much smaller Nikon Df. Personally, I don't think I've ever pressed that button once on my D700. The camera get's the D810's video specifications, which are all good on paper, but until it gets into the hands of experienced film makers, it will be hard to tell how good it is. It all comes down to the level of aliasing and moire that are inherent on the new (maybe) sensor. As usual though, Nikon's video options, while improved over previous generations, are still crippled by a low bit rate. At least you can record uncompressed 4:2:2 out of the HDMI, but many people would prefer a higher quality in-camera codec and bit rate. Compared to Sony's recently released A7S for video, well, there's just no comparison. Bet then the is more than just a video camera. Body wise, I'm not a huge fan of the D7000 style control layout that the D600 series and now the D750 is using. According to DPReview the body is made of a magnesium alloy and is much stronger feeling and lighter than the D610 so that's a good step. To me, the D700's control layout was the pinnacle of ergonomic design, and it's a real shame that Nikon has moved away from that. Even the high end D810 doesn't have as nice a control layout as the D700/D300. Of course, I'm splitting hairs here and at the end of the day, you'll get used to a new control layout quickly enough. The flip up screen is a real boon, especially if you are using the camera for video, and even if you just want to take low down shots without having to contort yourself into odd angles to see the viewfinder. The wifi is another nice feature to have, especially if you want to post an image to a social network or sharing site while you're on the road, or even send a quick proof to a client when all you have is your iPhone (or Android, although apparently if you're a windows phone user you're out of Luck.) The Dual SD card slots is another handy feature to have. So would I upgrade? I'm tempted, I have to say. While I love mirrorless, I do like the look that full frame gives you. (And yes, there is a difference despite what some would try to have you believe). I also love a good optical view finder. I'm torn however, between sticking with a DSLR as my main camera or going all in and switching to the Sony A7 series. I was closer to a decision until my Nex-7 died recently, which makes me question Sony's longevity. Overall the D750 is a good solid release, but part of me can't help but feel that Nikon has been playing lego with its camera parts lately. It's like it lays all its components out on a table and then picks ones from each line to make a new model. I know that's cynical comment to make, and certainly, they aren't the only ones that can be accused of that. At least they're coming out with new models unlike some other manufacturers. At the end of the day, as with all cameras, you can't judge it by just the specs. You need to get a feel for it, see it and use it in real life. The D750 certainly has the specs, so the rest will have to wait until the camera is out in the real world.